Flipkart is currently India’s biggest online retail giant and is all set to be largely acquired by Walmart. 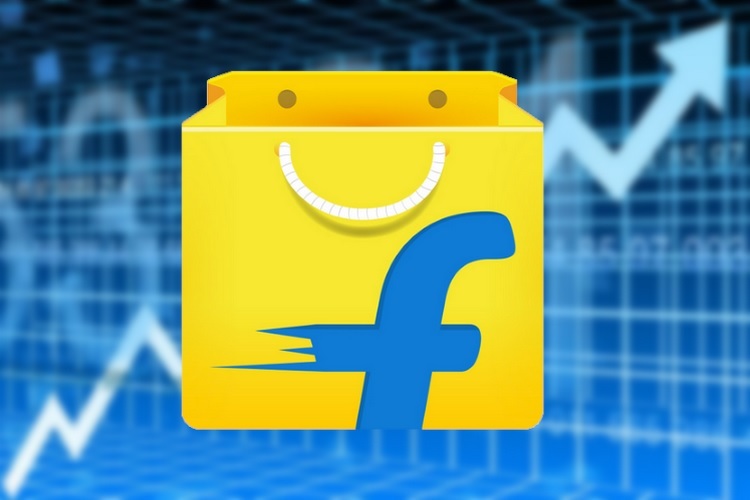 However, all might not be well for the company, with recent reports accusing Flipkart of selling pirated products on their website. 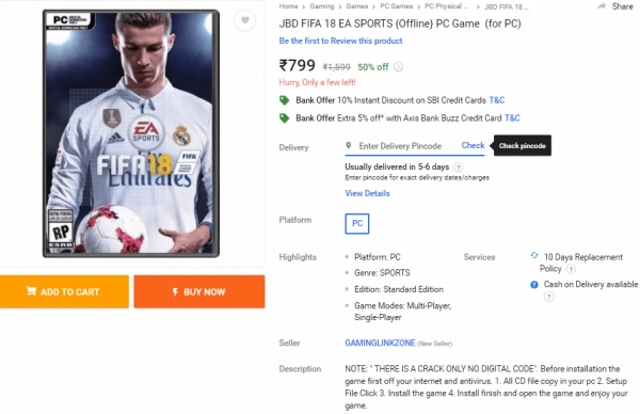 As reported in a tweet by Vidit Sahni, a resident of New Delhi, Flipkart is selling plenty of PC games being listed for “offline use only”. Upon further checking out the items, the description clearly states that it is a cracked game, and you can install it by disabling your antivirus and proceeding with the installation. He further highlighted a game, FIFA 18, which was listed for just Rs. 799 on Flipkart, with the description being “NOTE: THERE IS A CRACK ONLY NO DIGITAL CODE”. “Before installation, the game first off your internet and antivirus. 1. All CD file copy in your pc 2. Setup File Click 3. Install the game 4. Install finish and open the game and enjoy your game,” the description reads out in broken English. However, Flipkart responded to the query by disapproving the question itself. “Reason for not-approving the question: Irrelevant question,” stated Flipkart. Despite giving the above response, Flipkart has since then removed these listings from its website. Nonetheless, the actual behavior from Flipkart hasn’t been good, and it is quite astounding that such an act was allowed in the first place.